Addiction is something that affects millions of people every day. It usually starts slowly, but then people who engage in it begin to spiral down a rabbit hole. If you are watching a loved one, destroy their lives with the help of addictions, it can be difficult to know what to do. Supporting them through this process, as much as you’re able to, it’s truly important. At Sunrise Sober Living in Utica, MI, we want to be part of that support system, whether it is for you or your loved one. Our wonderful and compassionate staff is devoted to helping individuals like you who are doing everything within their hands to free themselves from addiction. During this process, it is crucial that the individual counts with the aid and support from a community that cares for them. In order to guarantee the individual goes through the recovery process as best they can, they require emotional health and balance. 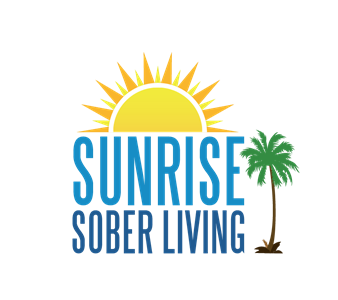 At Sunrise Sober Living, we are passionate to helping individuals who want to recover. At our Sober Living community, you can connect with people that are going through the same addiction struggles you are. This is helpful because you will have people to rely on, people that you can relate to, and people that themselves are fighting to change their lives for the better. Having this community at your disposal, will also mean that you can count on others to keep you accountable. Our halfway houses in Utica, MI are peaceful living spaces in which you can feel safe and at peace. Not only is it a joyful and tranquil environment but it is comfortable and counts with advanced appliances and all the comforts and supplies you require. While in Sunrise sober Living, you will also count with an experienced staff of counselors and advisors that you can rely on to provide you with the mental health assistance you require in a process such as this one. Sunrise Sober Living, is a truly whole program, that offers everything you will need to start the process toward recovery. Contact us for more information on Sunrise Sober Living’s many effective and compassionate programs in Utica, MI. If you or a loved one are struggling with addiction, whether it is to prescription drugs, alcohol or other harmful substances, you can trust our team to take care of you and to provide you with the guidance and counseling you need. Don’t wait to take the step that could change the entire course of your life. Free yourself from the hold of addiction, and begin to experience a new, healthier and happier way of life. I absolutely love Sunrise Sober living it is the most amazing place for my recovery. The house managers are so kind and helpful. We are all family here. I'm super grateful tp.be able to be apart of Sunrise Sober living. THANK GOD!